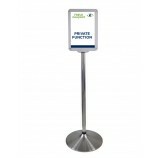 A well-engineered height adjustable signholder made from marine grade stainless steel. 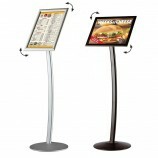 A sturdy 330mm diameter weighted base makes it safe for use in high traffic areas. 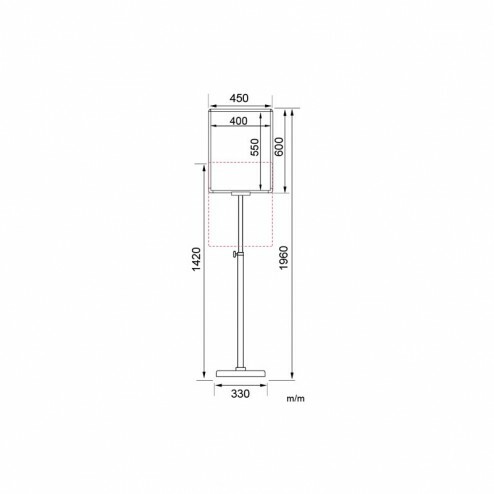 The post is 25.4mm diameter with a simple height adjuster. 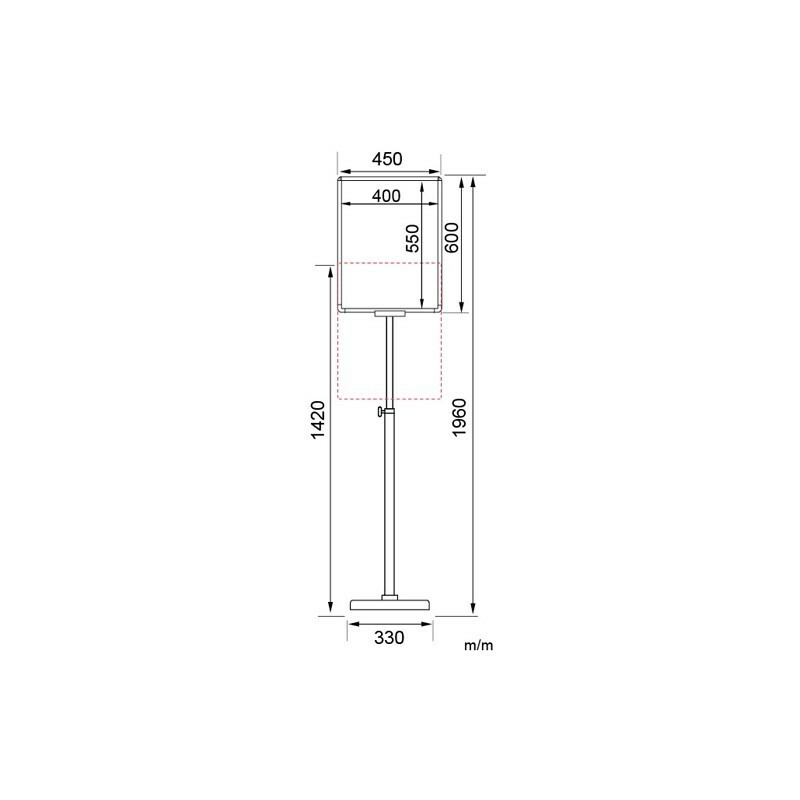 Maximum height to the top of the sign is 1960mm and the minimum is 1420mm. 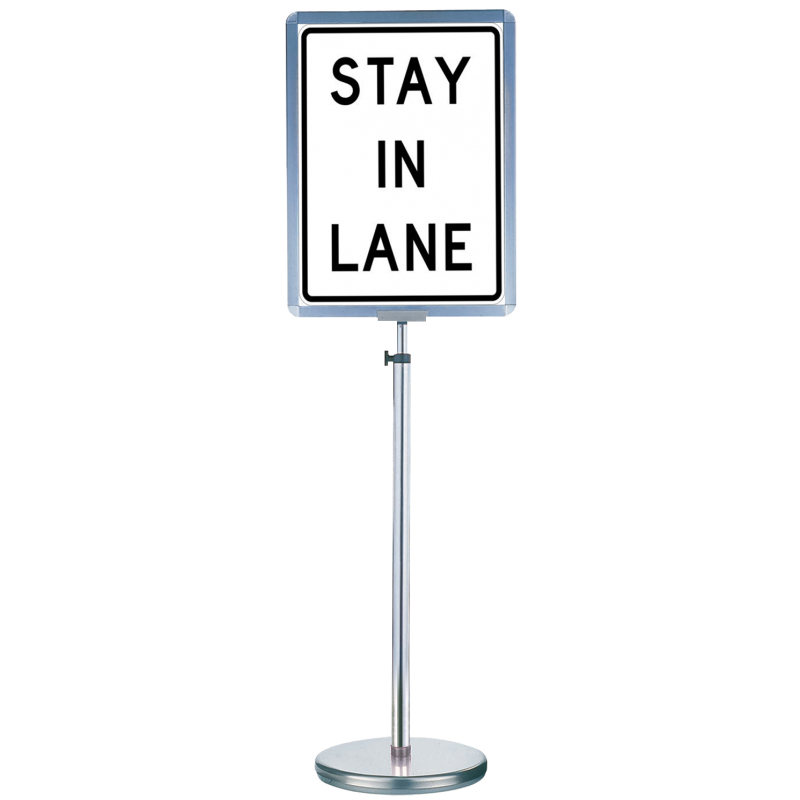 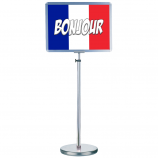 The portrait sign holder is 450mm wide x 600mm high and has a display area of 400mm x 550mm.